Is ‘Black’ Stainless Steel the next big thing in appliances?? Stainless steel has ruled the appliance world for many years, with no serious contenders on its heels. But now, here comes black stainless steel, fighting for dominance in the kitchen. Like any new finish, we won’t know if it has true staying power until some time has passed. But if you’re looking for the newest thing, if you know you’re going to be in your home for a while, or if you’re getting it ready to sell, black stainless is a great choice. If you’re thinking about incorporating the look into your kitchen, here are a few things to consider. Expect to hear some “oohs” and “ahhs” when people walk into your kitchen. Black stainless steel has that sleek look that gets attention, so if you’re hoping to create a show stopping space, it may be an easy choice. But, in this case, that might not be a bad thing. While design experts warn clients against chasing trends, black stainless steel offers a way to be on the forefront of one. Black stainless steel is an easy way to make your space look upscale while also creating a warmer feel. 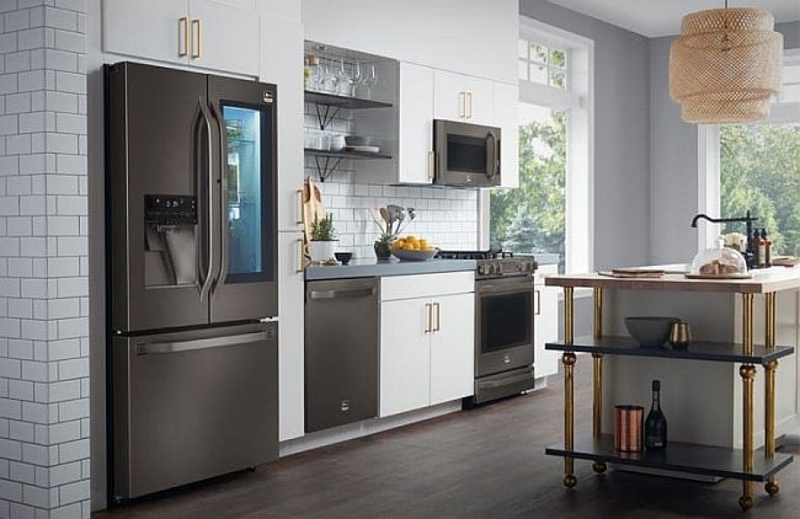 “Since black stainless steel appliances debuted several years ago, they’ve been touted as a warmer alternative to the industrial look of regular stainless,” said Consumer Reports. No more and no less than how traditional stainless steel scratches, but still. Keep in mind that in busy households with kids and animals, it might be hard to keep a scratch-free surface forever. As with any newer finish, manufacturers have not yet rolled out a ton of options – at least not when compared to traditional stainless steel. That being said, you will find options from Samsung, LG, KitchenAid, Kenmore, Frigidaire, and Bosch, which just introduced its first kitchen suite in black stainless.